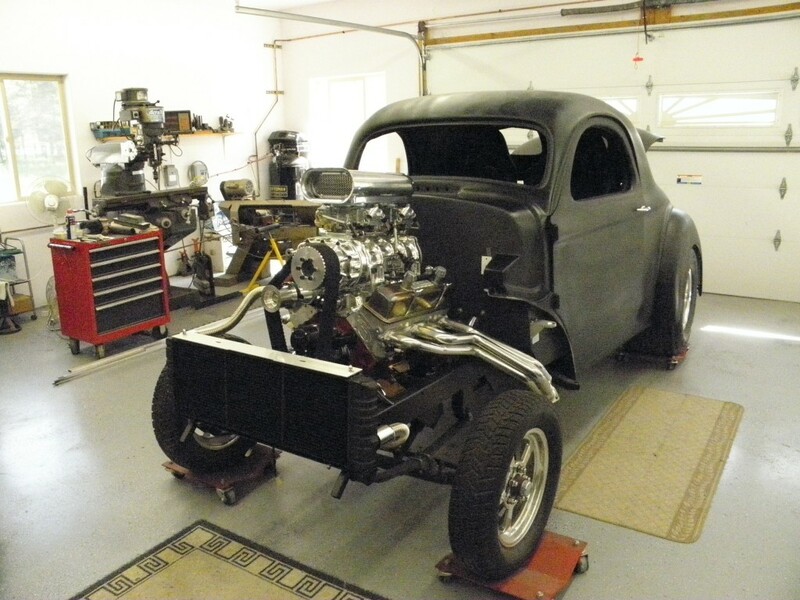 The project for this month is a 1941 Willies old school gasser, being built by Ron and Bev Kauble. Ron is not new to car building, he started messing around with cars at the age of 13. His first car was a 1954 chevy coupe while attending high school Santiago, California. While still in high school he entered into the world of drag racing. He was racing a 1932 chevy coupe at the time. In the early 60’s he went on to race in the Junior Fuel Bracket. Ron did some of the driving at these events, but was really the man behind the engine building and fabracation of the car. Ron’s partner in the Junior Drags was Jack Jones, who is still racing Funny Cars. Ron did most of his racing in California, a lot of his compitetion were some of the greats of the sport, like Big Daddy Don Garlius. In 1970 Ron’s car won the Top Gas Speed Product in a front engine rail, running a 392 Chrysler engine. I’m sure if you sit down beside him at a meetting he will tell you all about it! Ron did not make it to this great event as he was in the process of getting married to Bev. They have been together for 43 years now, and it looks as thought its going to work out. Their youngest son was living in Sandpoint when they decided that they had had enough of California life, so bypassing Calorado, they moved to Sandpoint. Ron’s income was made as a Machinist, and from the way he lives and the quality of the work i have seen, he is very good at it. He has made some niffty looking brackets and braces and what nots for the rig. He also is a very fine wielder. 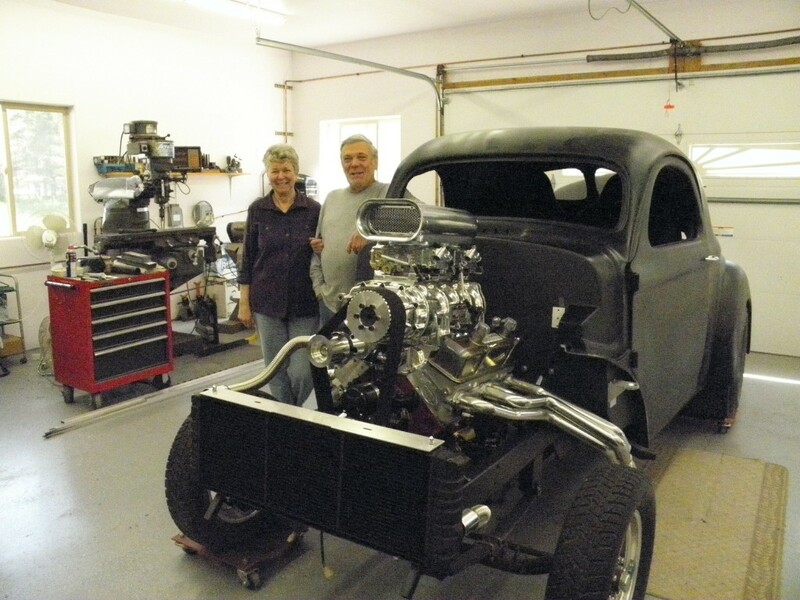 Ken Lunn saw the 41 in the Wheels and Deals and showed it to Ron and Bev and they at first were going to take a pass, but like all good couples, they sat down and talked it over, and decided to buy it. Ron had had this project in his head for a long time and had been collecting ideas about what he wanted to do with a rig like this so it was on. This is the car Ron has been dreaming of for over 20 years, the start looks good! What an engine! 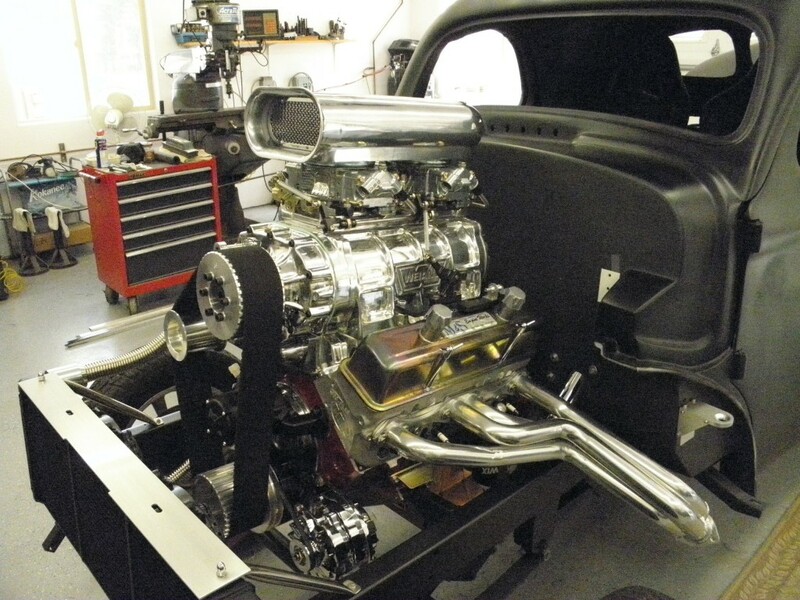 Its a 355 small block chevy, and sould produce around 600 horse power. It has Pro Filter Aluminum heads, balanced and blue printed, molly pistions,Manley foraged cam, and a 671 blower with two Holly 600’s on top. It will be backed up by a TH 400 with a BM shifter. All roller rockers and ceramic heads. 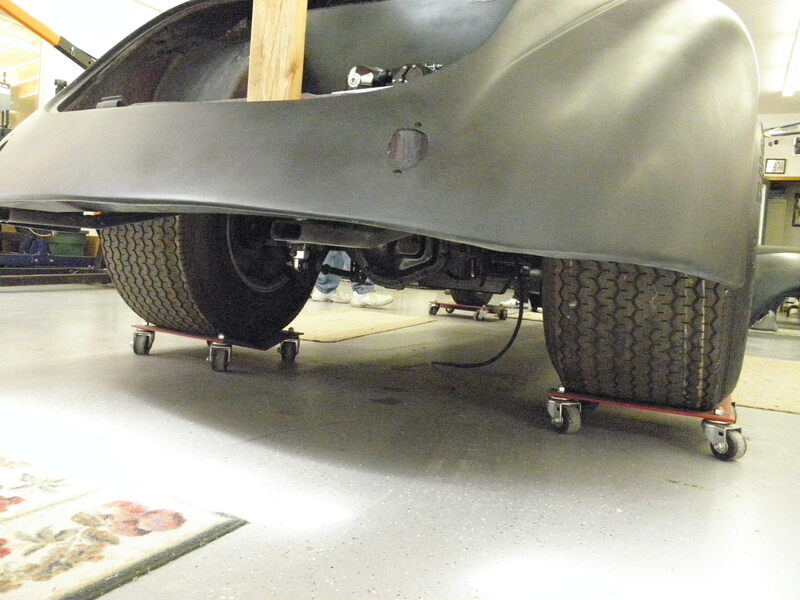 It is running a fine straight front axle with Possies springs. You’ll have to ask Ron about the radiator, it is out of a jeep, ask Ron about it , as a lot of work went in to get it. 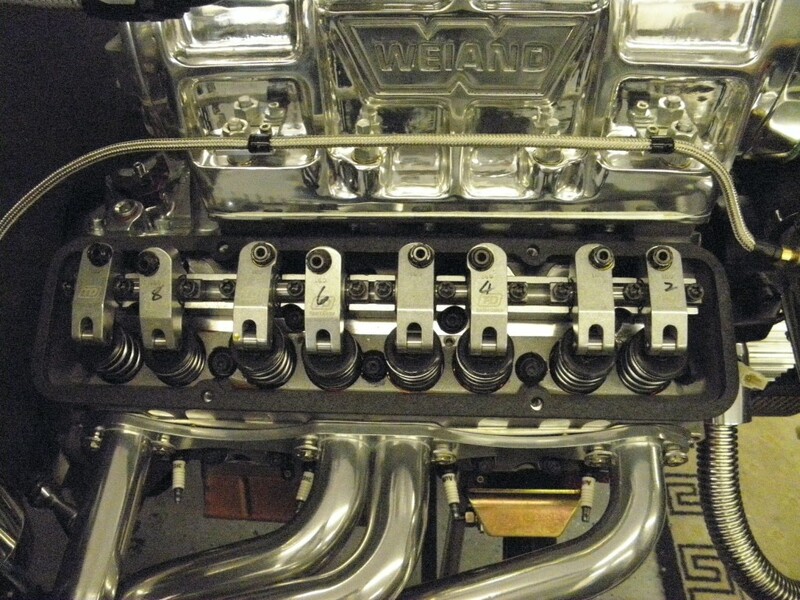 It is running a vega steering box. It will run very big and little in tires, all of the bunch arre Mickey Tompson. 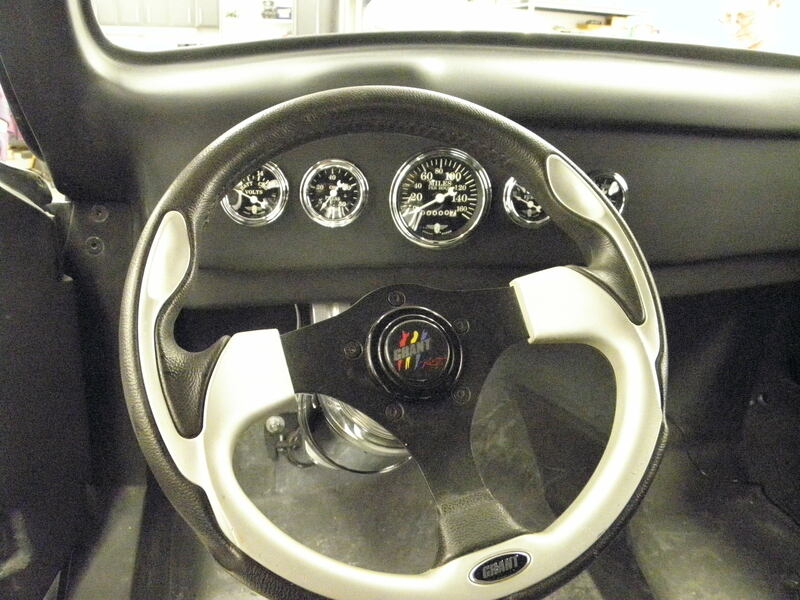 Steering wheel is a Grant, gauges are Sturart Warrner, Seats are and after market brand and look great. It will have a black enterior, and Bev said she will have the say so in this department! 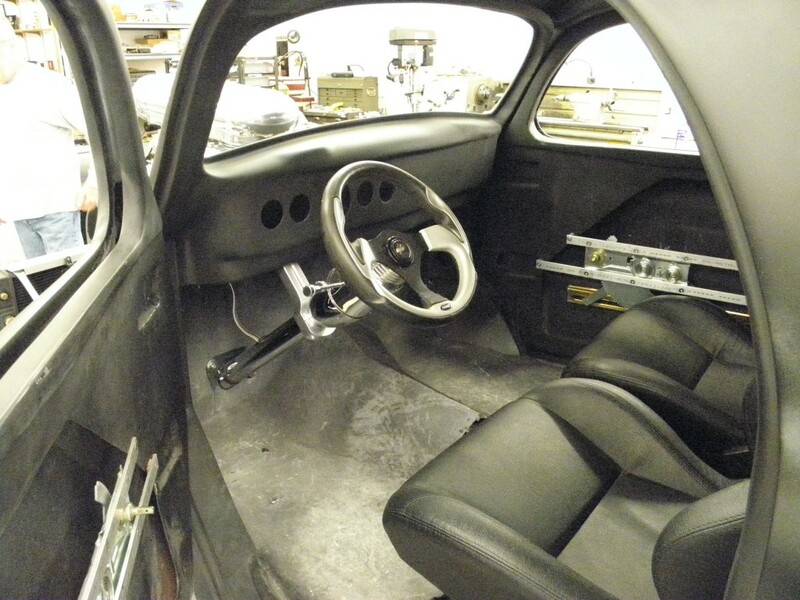 Ron will install a six point roll cage and five point seat belts. Ron will add some wheelie bars and a chute just in case! 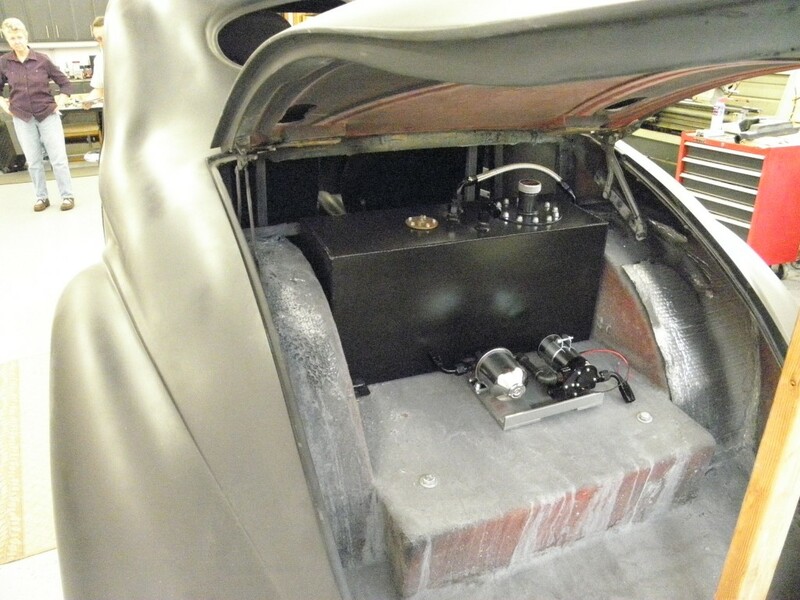 Ron has added a nice fuel cell to the back with an electric fuel pump. Ron hopes to drive the rig to our car show in September, but will be sans paint, but who cares i just want to hear it run! Will thats all till next time so Rod On!